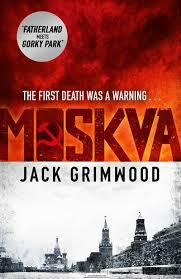 Significantly better than my plot synopsis, Moskva is pitch-perfect murder mystery/espionage fiction. When I dream of an engaging, intelligent novel that does not get involved with contemporary politics yet is sophisticated enough to avoid formula, this is what I dream of. Everything, from pace to prose, style to story, has been chipped to the bone of compelling story. The characters are etched into reality, dialogue operates between the lines, plot develops and escalates organically (save perhaps a helicopter in a certain scene), historical detail does not take center stage (rather is integrated with plot), and a dark mood complements and pervades the chill of both Soviet Russia and Soviet winter. As a pure product of fiction, it’s really tough to do better.